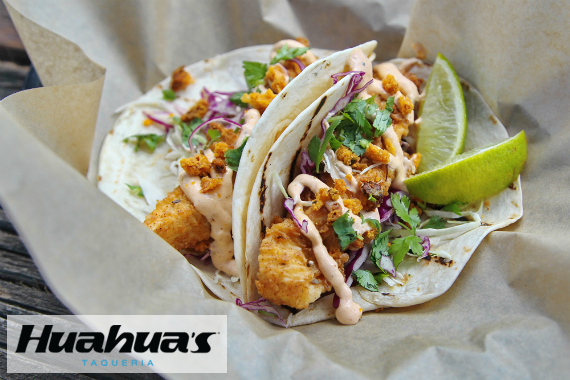 Huahua’s Taqueria is a gourmet taqueria in Miami Beach. We are known for our delicious tacos, paletas y mas! "Pull up a seat and unwind with us on our patio! #huahuas #upshow"
"Meet us at the intersection of fresh and tasty. #huahuas #upshow"
"It's a lovely day to enjoy our outdoor seating!" "Keep your friends close and your Mac n' Queso closer." I LOVE this place. I come here often and my favorite is the shrimp tacos. Honestly amazing. Food to good prices and served by smiling people. The food was very tasty and definitely be a place to visit again. Yes, I'd like to receive news from Huahua's Taqueria. Sign up for the Huahua's Taqueria Newsletter!